The 7th Annual RedState Gathering will be held at the Intercontinental Hotel Buckhead in Atlanta, Georgia August 6-9, 2015. Conservative blog RedState gets close to a million monthly unique views, and has a boisterous comment section frequently visited by conservative politicians. The three-day Gathering, hosted by the site�s outgoing editor in chief, Erick Erickson, took on the weight of a real candidate vetting. Ted Cruz: Allow vote to end Planned Parenthood's funding. Mike Huckabee: End Planned Parenthood funding by tying to debt limit vote. Donald Trump: Disinvited from RedState gathering for misogynistic comments. Jeb Bush: Why is State Department in permit business for XL pipeline? Ted Cruz: End the Export-Import Bank. Mike Huckabee: No paid transgender surgery for members of the military. 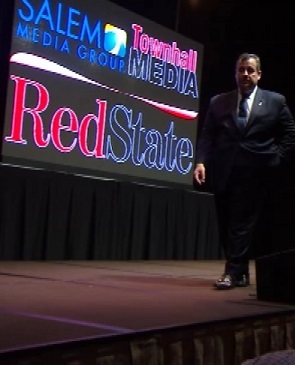 The above quotations are from 2015 Republican candidate RedState Gathering.